School breaks are coming up, which means many people will be leaving for a nice, relaxing vacation full of sun and amazing food. Or at least, that’s what would be ideal. Realistically though, for us runners the excitement for vacation is deflated when we realize: how can I stay in shape!? Training can’t come to a halt for vacation (I wish!). Unfortunately, traveling is tiring and running everyday just isn’t always possible. Your hotel might not have a treadmill, you may not have time to workout, or you may not be comfortable going for a run in a new, unknown area. Luckily, here are some tips to stay in shape while on vacation. Go hiking: Hiking is a great way to build muscle and it allows you to explore new areas and views along the way. You can also get a lot of cardio in if you search for hikes with lots of elevation change. It may not be a run, but long taxing hikes can be a great workout! 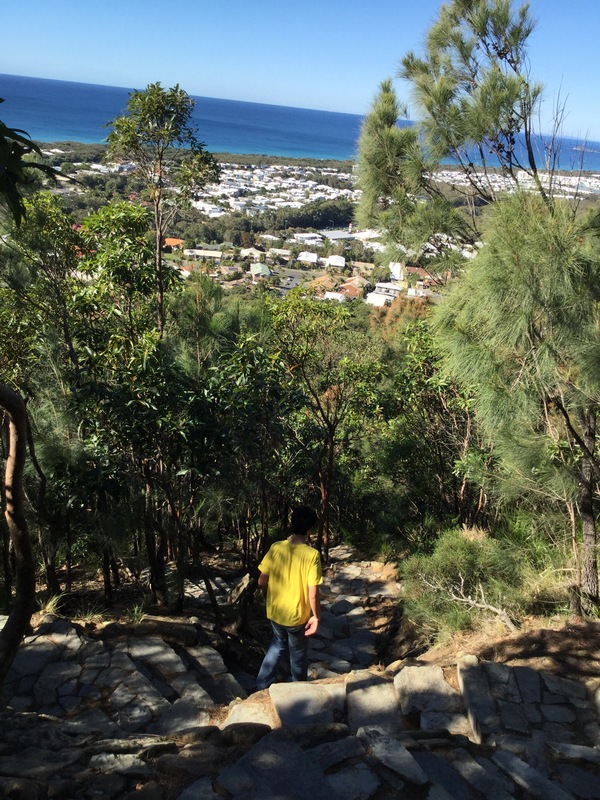 Here’s a great hike I did while in Noosa, Queensland that was 3 miles of steep upgrade. It was a definite quad workout! Walk instead of drive: If you are in a large metropolitan area, take a day to just explore the city! 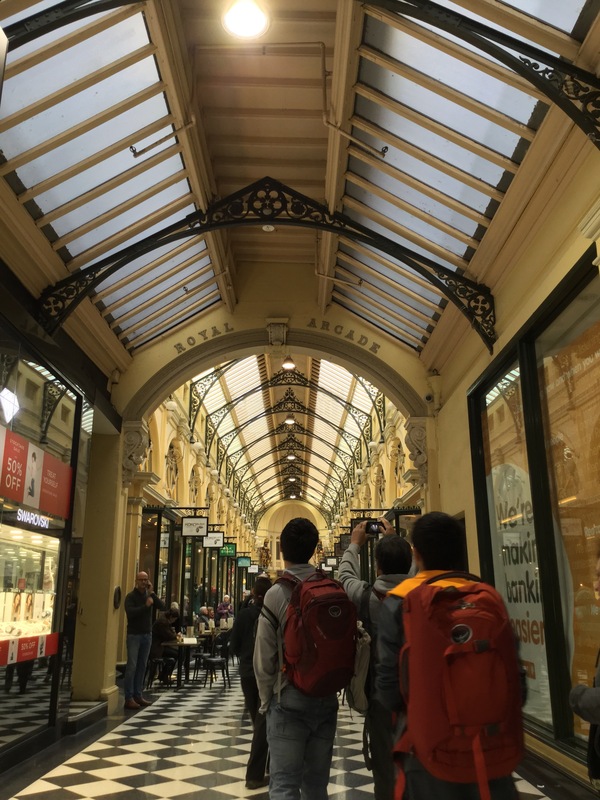 Walk to places instead of driving; this is an awesome way to get a closer look at the city, it saves you taxi/rental money, and walking around for a few hours will cover a lot of mileage! When I was in Sydney we walked around downtown for a total of 5 hours and covered almost 11 miles. The key is instead of setting aside time to exercise, make your entire day a workout instead. I used this tip while exploring downtown Melbourne. Add a 20lb pack pack all day and you’ll be exhausted at the end of the day- in a good way! 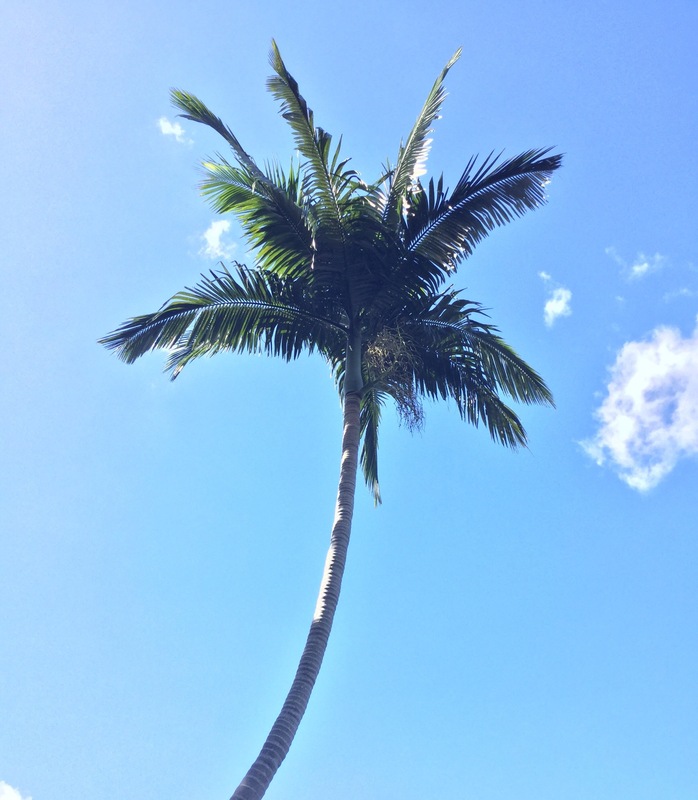 Beach runs: If you are headed to a tropical destination, go for a beach run! If you go early in the morning or if the beach generally isn’t too crowded, running on the sand provides a challenging workout. Especially if the beach isn’t too large, it’s great to run strides on the sand instead. This way you can get in a great workout while enjoying the beach and it doesn’t take up a lot of your vacation time. 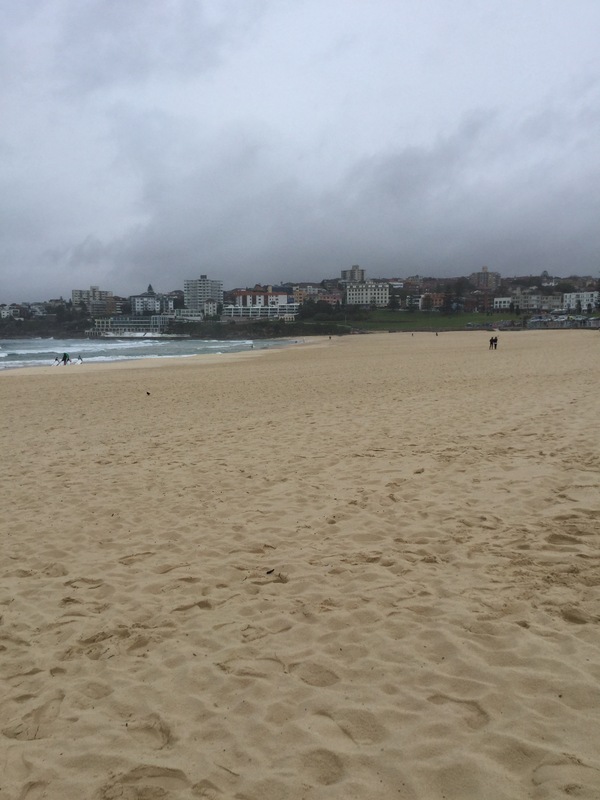 Featuring a rare empty Bondi beach, this is great, especially if the sand is soft. Swim: If you hotel has a pool, use it to your advantage! Many pools are opened early in the morning or late at night. This way you can go without interfering with day plans and you can avoid kids. Swimming is a taxing cardio exercise that is great if you have been relaxing all day. Maybe even try aqua jogging. 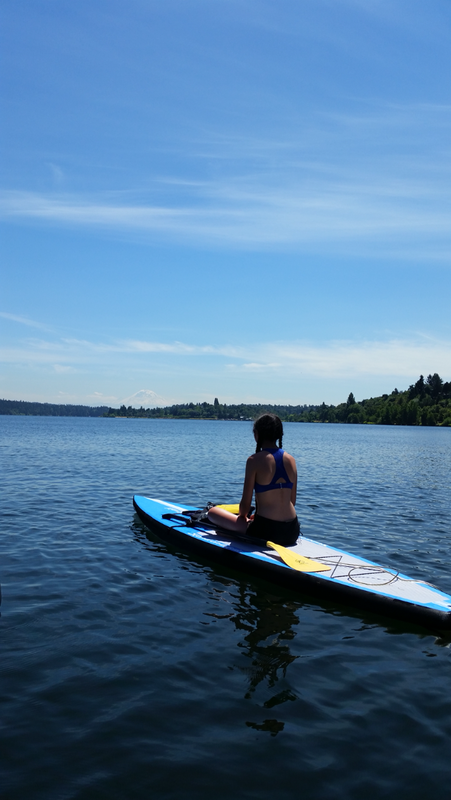 Kayak/paddle board: Another way to explore your new surroundings is getting out on the water (if possible). Take a guided kayak or paddleboard tour to learn about the ocean, or just rent them to paddle around. Both are great upper body workouts, honestly, kayaking is great for core and arms. You might be sore the next day though. Even renting a peddleboat is a good leg workout since you are basically riding a bike with increased resistance. On Lake Washington with a perfect view of Mt. Rainer. The view from the water is also an added bonus! Just chill: Or you can just take a few rest days! Relax and sit back with no worries. You legs could use a break anyway, they deserve a vacation too. In some cases, a few days of rest can actually be conducive to faster racing the following week. Personally, I took a 5 day break from running last spring break and PR’d by 13 seconds in following week in the 1600m. Overall, vacation is meant for relaxing and exploring, so don’t worry too much about improving as much as just staying in shape in general. Just remember that the important thing is having fun! Enter your email address to follow this run-tastic blog and receive notifications of new posts by email.